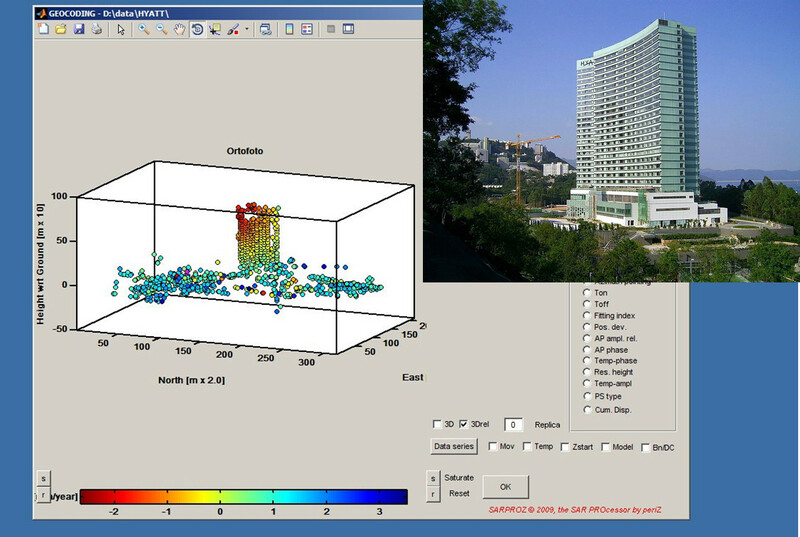 The colored dots show that a linear displacement trend is affecting progressively the building from the bottom (stable) to the top (moving). The slight movement reveals the millimetric tilting of the structure. Data were acquired by TerraSAR-X in Hong Kong.